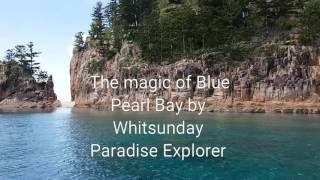 Whitsunday Paradise Explorer is a personalised private boat tour and charter company who can provide you with unique, memorable experiences in the beautiful Whitsunday Islands without the crowds. Their experience in this region means that they can take you to places unknown to most operators as well as tailoring a day trip to your individual needs. As they take no more than eight guests at a time, you can charter the vessel for your own exclusive use at a very reasonable cost. Whether it is snorkelling, bush walks, exploring coastline or just relaxing at your own private beach for the day – they can take you there.